Broken down in the field? Here’s what to do. 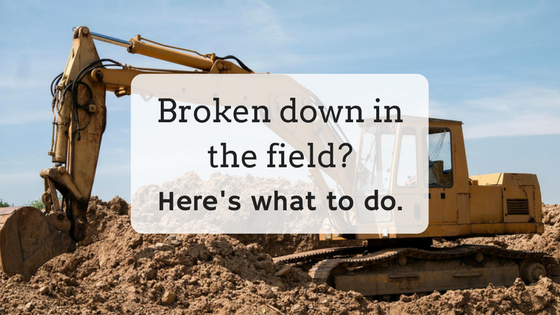 When you’ve got a breakdown in the field, you’re probably looking for the quickest possible fix. Here’s what to do in the event that your industrial equipment breaks down. If you’re going to end up needing a new part, you need information. What brand of equipment broke down? What’s the model number? How old is the unit? You’ll want to go into a call knowing this information. If you know exactly which part you need, that’s even better! If not, when you call us, we can help you figure that out. Call Fitz Equipment. If you’re around our area (Odessa, TX) we will drive out to you with our in-field emergency service! We’ll drive pretty far, so call us and ask. If we’re not close enough to come fix your equipment, we’ll send you the part you need quickly. We deliver throughout Texas and the surrounding states. We also have many freight companies we deal with and will find the best delivery method to get your order to you. In most cases, we can get a part shipped to your location in the same day. Plus, we also have portable air compressors for rent.